UPDATED: Fri., Aug. 24, 2018, 9:04 p.m.
Leslie Flores-Cloud’s first match as Eastern Washington’s head volleyball coach couldn’t have turned out much better. Kennedy Kaminsky, Kamille Langford and Taylor Larsen combined for 28 kills Friday to power the Eagles to a season-opening 25-23, 27-25, 25-22 victory over UMass Lowell at the Titan Classic in Fullerton, California. 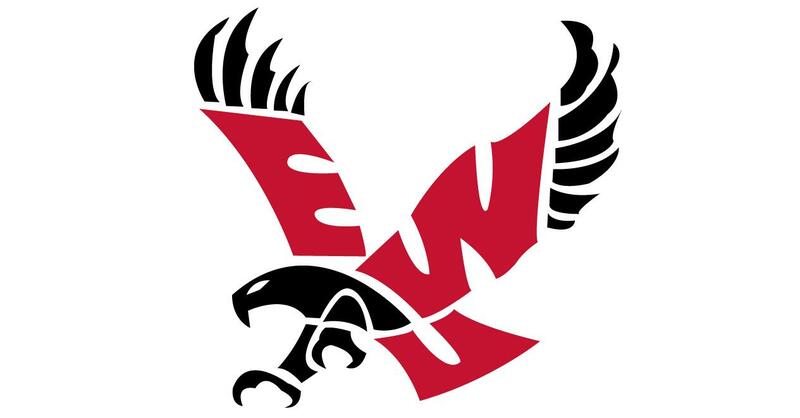 Flores-Cloud, the former Drake associate head coach, was hired by EWU in mid-June. MaKenna Davis added 14 digs and two aces for the Eagles. Langford also had four blocks. Alexandra Espinosa had back-to-back kills to cap EWU’s second-game win. The match marked the first meeting between the teams. Idaho 3, Santa Clara 0: Sarah Sharp finished with 15 kills and Kaela Straw added 12, and the Vandals opened their season by sweeping the Broncos at the Idaho Volleyball Classic in Moscow, Idaho. The Vandals’ Haylee Mathis added 34 assists and two aces, and Alycia Wodke had 13 digs. Idaho won the first game 25-12 after trailing 7-4. Published: Aug. 24, 2018, 4:25 p.m. Updated: Aug. 24, 2018, 9:04 p.m.